Middle Schoolers, Motherhood, and Mountains. If you have or have had middle schoolers, you’ve experienced the Middle School Moan, the eye rolls, etc. Every Friday I have the privilege to be a contributing writer at Not Alone Mom. All parents alike, feel free to read today’s article on those precious middle schoolers here. Also, congratulations to Lou Anne, the reader who won Amelia Rhodes’s Isn’t it Time for a Coffee Break giveaway. I’d encourage any of you who need encouragement in friendship to purchase one – you can find out more about the book and where it can be purchased here. Thinking today about many things. You can read that here. One of them includes my daughter, a junior at a large east coast university, who is saying good-bye today to children she has learned to love very deeply in Zacapa, Guatemala, at Hope of Life International. 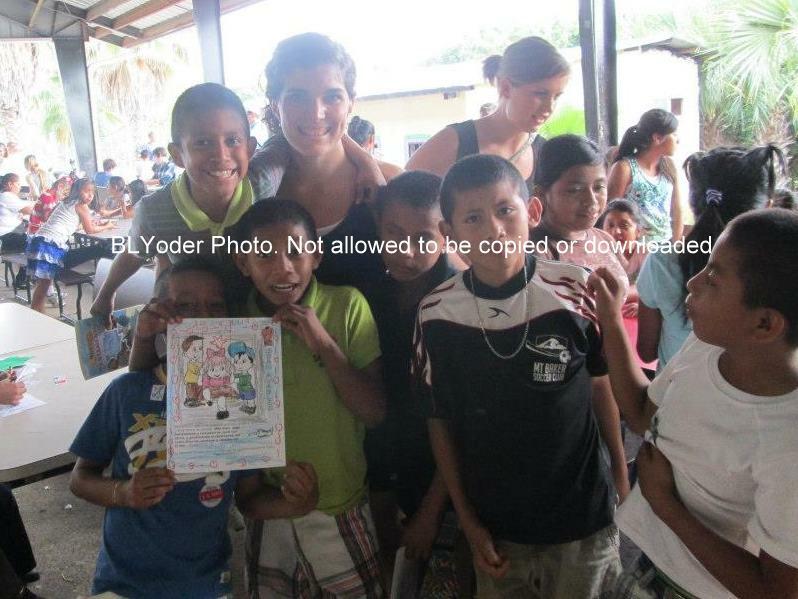 She spent the summer there and returned the last two weeks to translate for medical teams. She has a deep love for the children she’s worked with and will be saying good-bye and returning to begin a new semester tomorrow. God is doing tremendous work in this young lady’s life, and I don’t say that because I’m her mom. Those of you who are pray-ers – would you pray for her today as she says good-bye, as she returns to school, and leaves part of her heart in the mountains of Guatemala? Thank you. Tomorrow I will be sharing a tremendous story of Tanya Glazman, a contributing writer to Circle of Friends, who is sharing her inspiring story of overcoming child abuse and abandonment. Tune in this weekend for her story. Readers, I don’t know who all of you are, but I know you bring breathe and life to my day, to my journey beyond the picket fence. I hope this space does that for you, also. Janette, Thank you. I know you know these things, too. And the joy.